The Singapore economy grew by 0.2% in the first quarter of 2013, compared to 3.3% in the previous quarter. The Ministry of Trade and Industry forecasts GDP growth of 1% to 3% for 2013. The global economy is expected to improve gradually this year with modest growth in the US and moderate growth in Asia supported by healthy domestic demand, although the Eurozone is expected to remain in recession. Risks to the global growth outlook remain, such as a potential flare-up of the Eurozone debt crisis and fiscal uncertainties in the US. 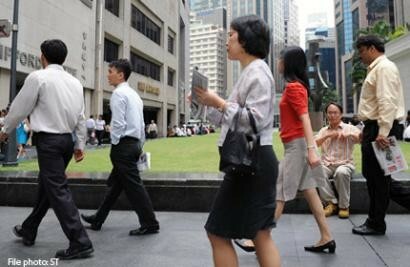 The overall unemployment rate in Singapore remained low at 1.9% in Mar 2013. Against this backdrop, the Government has decided t o pay a mid-year Annual Variable Component (AVC) of 0.4-month. The Government also supports the National Wages Council's (NWC) recommendation to grant a built-in wage increase of at least $60 to raise the wages of low-wage workers earning up to $1,000 per month. The Government will give a built-in wage increase to Division IV and III civil servants. This will be in addition to their annual increment in 2013. Division IV civil servants will receive an additional wage increase of $70 per month. This will benefit around 3,600 Division IV civil se rvants. Division III civil servants will receive an additional wage increase of $40 per month. This will benefit around 5,600 Division III civil servants. The Civil Service's NWC adjustments for all Division IV and III civil servants will benefit more than 9,200 civil servants. The Public Service Division and the Amalgamated Uni on of Public Employees will continue to work closely to review the salaries of lower-wage workers in the Civil Service, taking into consideration the need to upgr ade the value of the jobs and provide for meaningful http://www.stjobs.sg/ progression. This signals the Government's continued commitment to help raise the salaries of lower-wage civil servants. The mid-year AVC and the built-in wage increase for Division IV and III civil servants will be paid in July 2013. Illustrations of the rev isions can be found in the worked examples in the attached factsheet. The Government will decide on the year-end AVC paym ent for civil servants after taking into consideration Singapore's economic perf ormance in the second half of 2013.